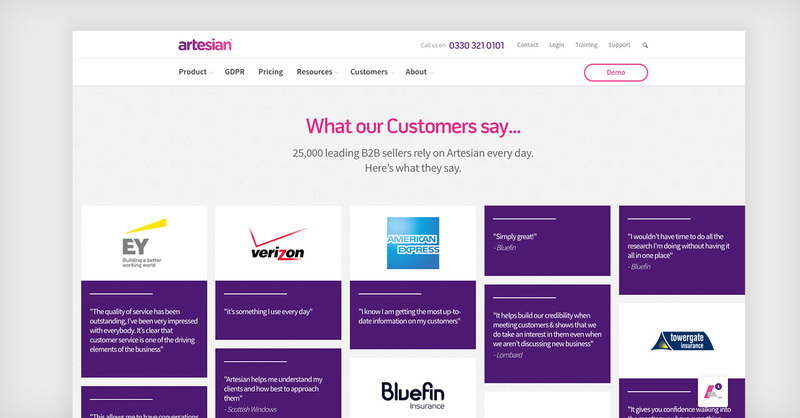 Artesian are one of the UK's most innovative technology companies. Using AI-driven software, they provide online marketing and sales insights to businesses. 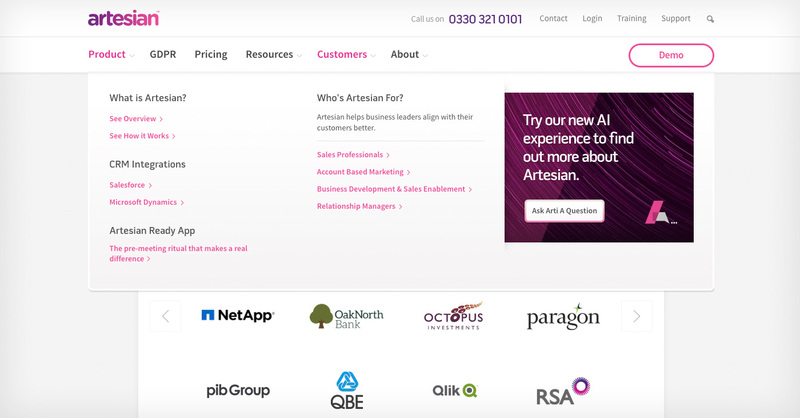 Artesian approached us back in early 2014 to help revamp their existing website. Since then, Artesian has rapidly evolved and we've been with them every step of the way. We provide ongoing creative and technical support to Artesian’s marketing team. Working in collaboration with the Artesian team, we’re on-hand to deliver creative solutions for new website additions, apps and campaigns. We’ve helped resolve any technical challenges that have arisen as their business has grown. 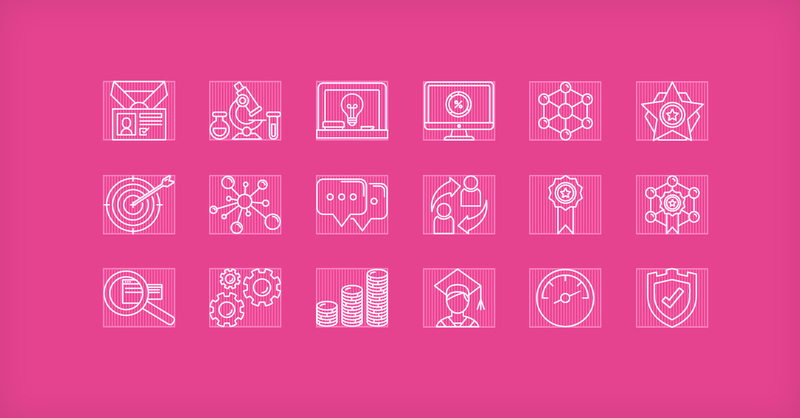 We’ve made sure Artesian’s digital assets have impact for both loyal clients and potential ones. 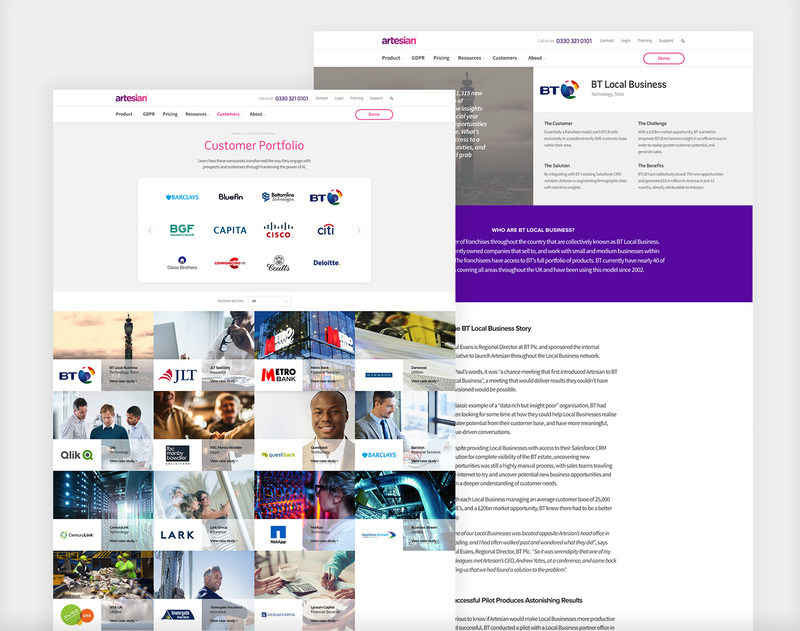 The assets we’ve developed are fresh and engaging, but retain a consistent look that clients will instantly recognise. We’ve fine-tuned all areas of the website to boost conversions, with improvements to UX, visuals and layout. We’ve also helped the Artesian team develop videos and demos to showcase their products. Artesian’s website now has clean graphics and fluid transitions for a polished, professional feel. It provides an engaging experience across all devices and screen sizes. Artesian’s website is powered by WordPress, an accessible platform which makes it easy for the Artesian team to manage their content. We’ve also helped integrate numerous third-party services to their website. These allow Artesian to access an overview of user behaviour. Artesian can see which areas of the site users are interacting with, how they are interacting and the means to stay in touch with them. As a result Artesian can offer customer service tailored to their users. 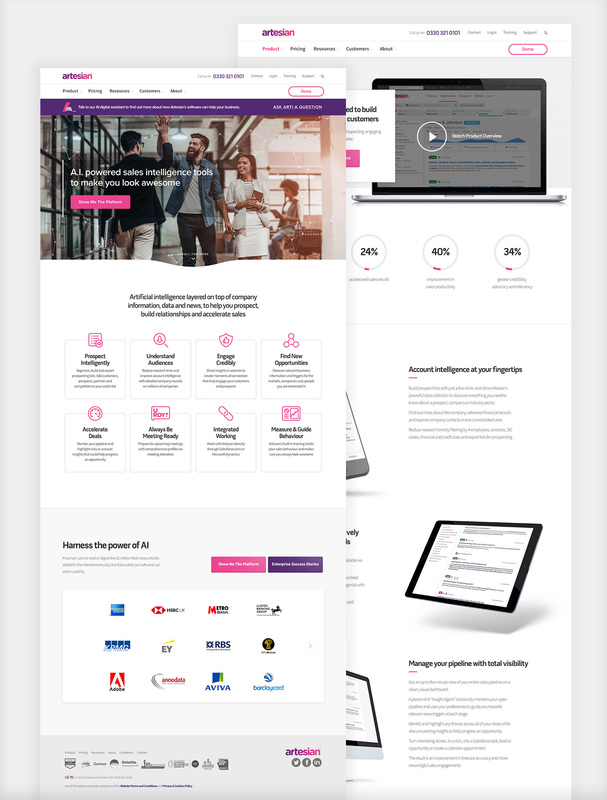 "The Supremo team operate as an extension of our own team and consistently provide top-tier agency impressive design and technical web services at highly competitive rates. Very much recommended!" To view the full extent of our work for Artesian, check out the live site!